Every year we recruit and train international delegates. They're deployed on international Red Cross humanitarian and development field operations. Find out more about the programme, the skills you'll need and how to apply. Chelsea, a Red Cross international delegate, ensured people had safe drinking water in Kenya, using her water and sanitation engineering skills and aid worker training. We are one of a small number of National Societies globally that recruit, train and provide international delegates for field operations. Our delegates overseas are supported by funding from Ministry of Foreign Affairs and Trade, through the New Zealand Aid Programme and by our generous donors. Delegates are recruited on an ongoing basis. Applications are now closed for this year's International Mobilisation and Preparation for ACTion (IMPACT) training course. Read our delegates' blog posts, From the Field, to find out what it's like on deployment overseas (scroll down to 'Recent stories' below). Standard missions range from six to 12 months, with shorter missions of 2-8 weeks offered during emergency responses. Delegates are employed by New Zealand Red Cross on fixed term contracts that cover salary, travel costs, all pre-deployment and post-deployment support, medical clearance and insurance. Appropriate missions are dependent on demand, availability and suitability. There is no guarantee of an immediate international deployment. Previous humanitarian experience and/or cross-cultural experience are desirable. Fully accept and apply Red Cross Fundamental Principles, and be prepared to acquire an understanding of the Movement and its ideals. What are my true motivations for applying for international humanitarian work? How can I practically and genuinely make a difference? How do I feel about living and working in areas of insecurity where my health and wellbeing may be affected? Am I able to adapt quickly and sensibly to an unknown and unfamiliar environment? Will I thrive in working in a diverse cultural environment and accept the challenge of adapting to different work styles and personalities? If you meet the criteria above, you can apply for the pre-requisite IMPACT course when applications open. Please note that we can't answer speculative enquiries regarding international humanitarian work, or feedback on CVs. The IMPACT course provides in-depth training on the Red Cross Red Crescent Movement, International Humanitarian Law (IHL), International Disaster Response Law, life as a delegate, health and safety, and field operations. The course is held in New Zealand. Meals and accommodation are covered by New Zealand Red Cross, however you will need to make your own way to Wellington. The next IMPACT course is scheduled for October 2019, with applications opening in May 2019. 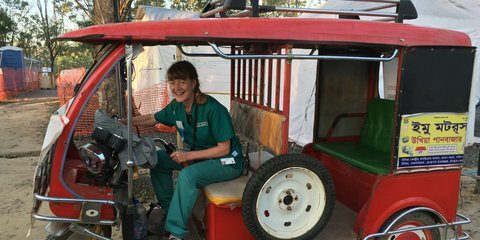 Red Cross nurse Fiona Blair shares some of her experiences spending Christmas working in Bangladesh at the Red Cross Red Crescent field hospital caring for people living in the world's biggest camp. 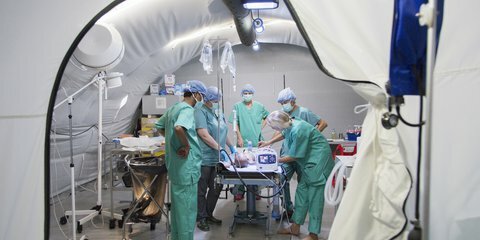 As people continue to flee from Myanmar to Bangladesh, New Zealand Red Cross health workers are playing a vital role in the humanitarian response. 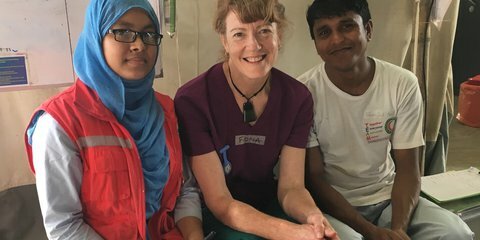 Kiwi nurse Fiona Blair reflects on her work in Bangladesh, where more than 655,000 people fleeing violence in Myanmar are now living in makeshift camps.